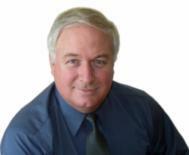 If you are thinking of selling your home in Hopkinton MA, I have 24 years of success to share. This is a very price snesitive market and proper pricing and strong internet marketing are key. Talk to an expert. I will provide you with all the key information to make an informed decision on your real estate sale. I have an intense internet based marketing system unlike any other local Realtor!